But this argument – the one where I tell you to go see Mr. Powell and his firebrand of rock and roll in days that might sadly be last of them – is not rooted in the past. It’s rooted in the present. It’s the now. His new record, “Life and Death,” makes a hell of a compelling case for saving a genre. The album is compulsively listenable, thanks to a calculated progression of tempo made for enjoying from start to finish, on repeat. “I’ve Got You Where I Want You” walks a line between sweet love and sexual possession (there’s no leaving / i’ve got you where i want you / i’m never going to set you free), and it works. His voice is pure enough to coddle traditionalists — just listen to the pained-yet-lovely “Send Me Out the Door,” which positively thrums with unadulterated vocal emotion. But he’s got an edge, too, a wildness that creeps in nearly halfway through the record, starting with “You’re Driving Me (Out of My Ever Loving Mind).” Speaking of which, “Driving Me” is probably one of the best road-tripping songs you’ll hear this year — an easy, upbeat listen with subtle harmonies that remind me of a more modern version of the Oak Ridge Boys, so take note and put it on your summer playlist. “Blood in the Sky” is a sultry stomper, an auditory equivalent to Friday night after a long, long week at work and the kind of song you’ll want to crank up and blast on repeat (and you can watch it here: http://youtu.be/fRLxmrH6wXI). But don’t take my word for it. You can stream the entire album for free at leroypowell.com (after which you should be a good person and show your excellent taste in music by purchasing the album for a mere $10), and then go see him live. A perfect musical handshake of events, if I say so myself. I caught up with Leroy and pestered him with some questions. We talked about superheroes, capes and what he’s listening to these days. Rhythm of the Region: What’s on your playlist right now? Give me a top five. Leroy Powell: I’m listening to Wagner “Liebestod” and Commander Cody & His Lost Planet Airmen. Also Hall & Oates. Also listening to Jimi Hendrix. You’ve done a lot, musically, in the several years that you’ve been working solo. How would you describe your musical evolution? Powell: Musical evolution is just that. Evolution. What’s the best thing about pursuing your own personal projects? What’s been the most fulfilling? Powell: I’ve always pursued my own projects. When I play with other people I make it my own. I put myself in the epicenter of whatever I have a passion for. On the flip side: what’s been the most challenging thing about working solo? Powell: I’m never working solo. Music is a form of communication. The very nature of it implies other people. Making a connection is the goal. Making a strong connection is the challenge. You can be a superhero, any superhero. Name the first that comes to mind. Powell: You know I wear a cape, right? Powell: Because you’re supposed to. Your new album “Life and Death” was released last month. How would you describe it from a musical lineage (or musical departure) standpoint? Powell: “Life and Death” is my most ambitious record. I wanted to show how you can come from a place where JJ Cale and Metallica hang out together. I play the country and I do the hard rock stuff. Life and Death is really where it’s at. And maybe the weather. What else do people talk about? This entry was posted in Bluegrass, blues, columbus, Concert-Captures.com, country, festivals, jambands, live music, music, pop, pop country, rock, rock 'n' roll and tagged ashley, ashley bethard, band, beautiful, bethard, brian glass, captures, Columbus, concert, concert-captures.com, fun bands, jamband, Leroy Powell, Leroy Powell and the Messengers, life and death, live music, music, musicians, new album, Ohio, photography, rhythm of the region, rock, rock music, setlist, shooter jennings, the messengers, Woodland Tavern, Woodlands Tavern by brianglass2013. Bookmark the permalink. 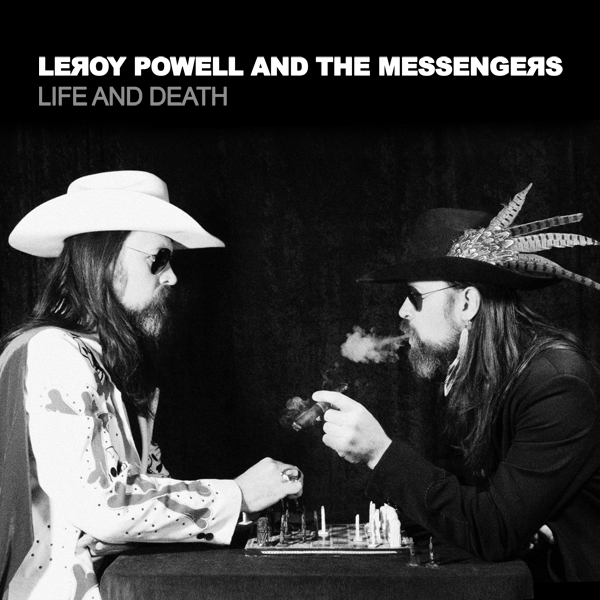 I wrote about Leroy Powell and his newest album for Rhythm of the Region. We talk superheroes, his diverse playlist and more.